“Mercury and lead are extremely neurotoxic and cytotoxic (even at trace amounts), but their combined synergistic effect is much worse. A dose of mercury sufficient to kill 1% of tested rats, when combined with a dose of lead sufficient to kill less than 1% of rats, resulted in the deaths of 100% of the rats tested.” — Bernard Windham, M.D. Before finishing reading this article, consider checking out my recent, closely related Duty to Warn column that was entitled: “What Everybody (Especially Pregnant Women) Should Know About Flu Shots”. The Essentia Health system in Duluth, Minnesota recently was challenged by the Minnesota Nursing Association because of Essentia’s announced policy mandating all of Essentia’s employees and contractors (including its volunteers who might never have any patient contact) to submit to annual flu shots or risk being fired. The only exceptions to the new rule would be if the employee obtained a medical exemption document signed by a physician or obtained a religious exemption document signed by a clergyperson. Essentia’s healthcare competitor in Duluth, St. Luke’s Hospital, has no mandated flu vaccine policy. Essentia was sued by the MNA to force it to reconsider its policy for its member nurses. 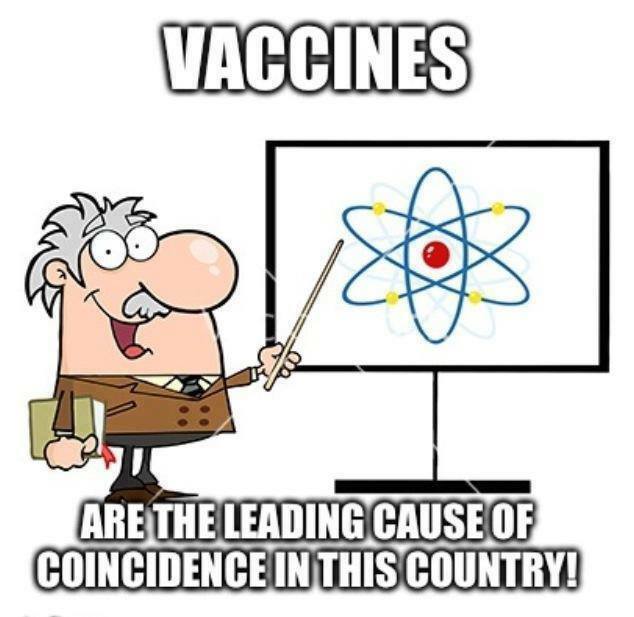 If Essentia’s policy-makers had any integrity as a medical science, evidence-based system or were in the loop about newer developments in the real (non-corporate) science of vaccines, they would have published the following facts (which I obtained from an article authored by the executive director of the National Vaccine Information Center (www.nvic.org), a respected website that publishes thoroughly documented information about vaccines, both pro and con. Nobody knows whether mass use of influenza vaccine from the cradle to the grave by all Americans will put pressure on influenza strains to become more virulent like has happened with other microorganisms and universally used vaccines. Given the 10 minute appointments that Essentia staff will be given during the planned, up-coming vaccine “mills” that will be offered over the next month (that is, if legal negotiations by the MNA are unsuccessful in changing the policy), one can be sure that the vaccine product inserts, which would fulfill the “fully informed consent” provision that patients are supposed to get before a potentially dangerous drug, vaccine, procedure or treatment is offered to them, won’t be offered for study prior to the inoculation. 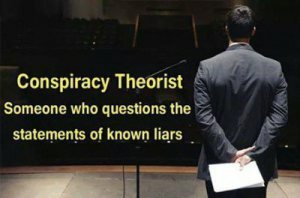 And the reason that Essentia’s coerced vaccine recipients won’t be given the opportunity to obtain full information before getting inoculated may well be that there is so much negative information about the vaccine on the sheet that most comprehending patients would therefore refuse to accept the shot. I give a number of examples of why resistance makes so much sense below. Unfortunately most physicians and vaccine-administering nurses don’t read the product information sheet either. I know, because when I was in family practice, I also never had the time or inclination to thoroughly read the warning labels of drugs or vaccines before prescribing them. I remember being told in medical school that we physicians were only legally obligated to mention a few of most common side effects of drugs to patients, because it would take too much time to relay the dozens – or sometimes hundreds – of adverse effects to the patient. Just like the impossibly lengthy forms that software companies make computer owners sign before purchasing a new program, we lie about reading and understanding the voluminous information. We doctors don’t have the time to read Big Pharma’s information sheets and so patients are not likely to be invited to do so either. Fully informed consent is consistently given short-shrift in medicine and the drug and vaccine makers get their commonly toxic substances fast-tracked into the bodies and brains of our patients. Doctors and Big Pharma’s drug-makers don’t want people to fully comprehend the extent of the corporate pseudoscience that is behind their over-vaccination agendas, and that includes the current flu shot scam as outlined in this article. It’s so much easier for authoritarian pharmaceutical companies to demand blind obedience from us indoctrinated doctors (and for doctors to demand blind obedience from our equally indoctrinated patients) while pretending that actual science is involved – rather than the actual, for-profit, often corrupted corporate pseudoscience. Below are some verbatim examples of disclaimers that are printed on the product insert sheet of a popular influenza vaccine FLULAVAL (GlaxoSMithKline’s flu product). The statements should make every thinking person wonder why they are standing in line for the inoculation and wonder why not step out of line and demand that our previously trustworthy medical profession, especially that segment that still adheres to the Hippocratic Oath, rethink its blind allegiance to Big Pharma, a multinational corporation that has 270 new vaccines in its pipeline. “…there have been no controlled trials adequately demonstrating a decrease in influenza disease after vaccination with FLULAVAL”. 700-1000 ppb = Concentration of mercury in large predator fish. 50,000 ppb mercury = Concentration of mercury in multi-dose flu vaccine vials. I hope Crosby or Staples will add Dr. Leposky to their staff. Many patients will switch. Thank you, Dave Laposky, for taking that stand & holding firm to your convictions. I have been a family physician in Pine River, Mn. for 30 years and practiced with Gary for several years. I too have come to similar conclusions on the flu vaccine and as of Monday (Nov 20, 2017) am no longer employed at Essentia for taking a stand on this conclusion. Yes. Terminated! ( I guess Essentia was serious about this threat.) Hard to understand such passion by an organization for such an ineffective vaccine. Thanks Gary for organizing this information in a concise manner. Should be mandatory reading for patients prior to receiving their flu shot.